Zoé Hamstead, Buffalo. Ryan McPherson, Buffalo. Post-industrial cities in the United States and elsewhere are implementing brownfields to brightfields programs that help develop local economies, generate clean energy and manage pollution. Brownfields are former industrial sites or landfills with contaminated soil. These sites pose both environmental and social challenges, as contamination must be remediated prior to redevelopment. Slow redevelopment processes can lead to or reinforce cycles of community disinvestment in neighborhoods already suffering from job and population losses. In the United States, the Environmental Protection Agency provides resources for remediating brownfield sites, and encourages the development of “brightfields”—solar power production on vacant lands—as one way of converting contaminated land for productive use. Renewable energy projects like solar can provide a way to bring additional financial resources to remediation projects and other underutilized urban properties, while at the same time mitigating climate change and fostering energy independence. Holistic approaches for brown-to-brightfield programs can couple solar with other strategies to meet multiple goals on the same site. However, depending on the way solar projects are designed and whether communities lack input in their design, energy projects in inner-city residential communities can be contentious. To date, most large solar projects are encircled in unsightly barbed wire—a design choice that few residents are likely to embrace in their neighborhoods and one which prevents integration with other community activities. These projects can also raise questions about the potential for alternative uses and competing goals, especially since communities in which vacant lands dominate the landscape often confront a multiplicity of economic and environmental challenges. Moreover, post-industrial cities face additional challenges related to infrastructure age and post-industrial disinvestment—including combined sewer overflows, substandard housing, soil contamination and lack of parks and open space. Holistic approaches for brown-to-brightfield programs can couple solar with other strategies to meet multiple goals on the same site. Students at the University at Buffalo recently initiated the task of exploring such multifunctional redevelopment possibilities. Their efforts are part of the University’s initiative to produce 100 megawatts of locally generated solar power by 2020. The project—entitled Localizing Buffalo’s Renewable Energy Future—aims to advance clean energy in New York State by increasing the use of solar energy in the City of Buffalo and on university campuses. The initiative is working to demonstrate the viability of coordinating multiple property owners (including the University, City, other intuitions of higher education, and potentially residents) in the negotiation of a solar Purchase Power Agreement (PPA), thereby leveraging the benefits of a large-scale solar PPA in the implementation of many smaller-scale solar PV installations. Through pedagogy and research, University faculty, students, and staff at New York State colleges and universities are building clean energy literacy and development while also working to advance multi-use solar projects within the urban core. This University effort is part of Governor Cuomo’s statewide “Reforming the Energy Vision” program, which is designed to prepare for and mitigate the impacts of climate change by expanding renewable energy and modernizing energy infrastructure to withstand disruption. 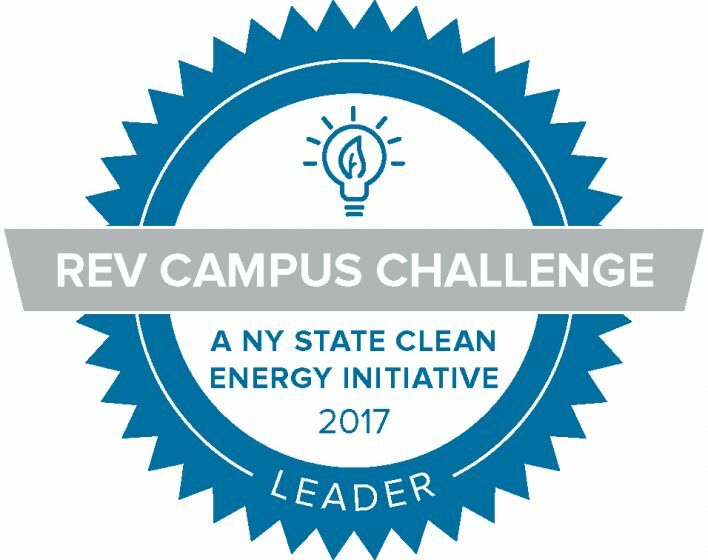 The Reforming the Energy Vision Campus Challenge promotes clean energy efforts by recognizing and supporting NYS colleges and universities that implement clean energy projects and principles on campus, in the classroom, and in surrounding communities. As part of a Master’s Studio in Environmental Planning, students developed multi-dimensional goals associated with the potential for vacant land in Buffalo to create more resilient communities, and assessed the potential of more than 17,000 vacant parcels to meet these goals. 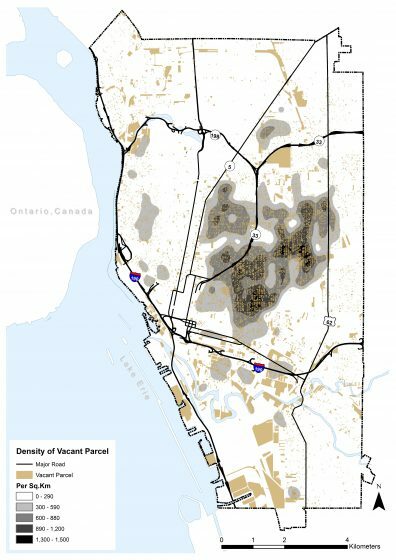 In Buffalo, small parcels of vacant land are strongly concentrated in the residential east side, while large formerly industrial sites are located along waterways and railroad corridors. Residential east side communities have high populations of racial and ethnic minorities, with high poverty and unemployment rates. Low to moderate-income households bear disproportionate energy costs—not only because energy comprises a disproportionate amount of their income, but also because many occupy older, less energy-efficient housing. Moreover, renters in these communities may have little control over their housing quality, including energy efficiency features. Solar projects designed to support additional on-site community uses could be part of renewable energy programs that help lower residential electric bills. 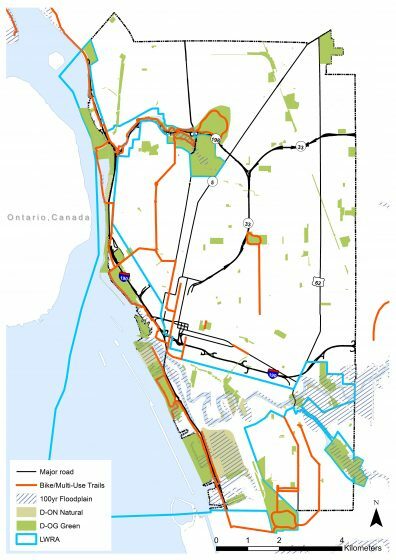 The large, non-residential vacant land in former industrial sites along the city’s waterfront and rail corridors tend to be ecologically sensitive areas that serve (or could better serve) important ecosystem functions such as storm water purification and bird habitat. However, they also have the potential to generate large amounts of energy as solar farms. In both cases of residential and non-residential vacant land, considering important tradeoffs and synergies with other ecological and community needs is key. As students analyzed the potential for these more than 17,000 vacant lots to produce solar energy—by considering site suitability characteristics such as slope, potential solar insolation, brownfield status, ownership, and proximity to existing electrical infrastructure—they also investigated the potential for vacant lots to provide ecological habitat and public access to community spaces. Vacant lots near existing bird habitat and shorelines are crucial for enabling ecological processes, while lots in neighborhoods that lack access to parks could potentially serve as public spaces. Moving beyond a single-objective approach, students considered the potential for sites to meet public access, ecological and energy objectives at once. How could multiple uses take place on the same site? 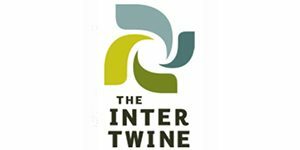 Are ecosystems, social systems and energy infrastructure systems in conflict with one another, or are they synergistic? Intuitively, ecological landscapes may conflict with solar power generation because trees shade the photovoltaic panels and inhibit solar energy. 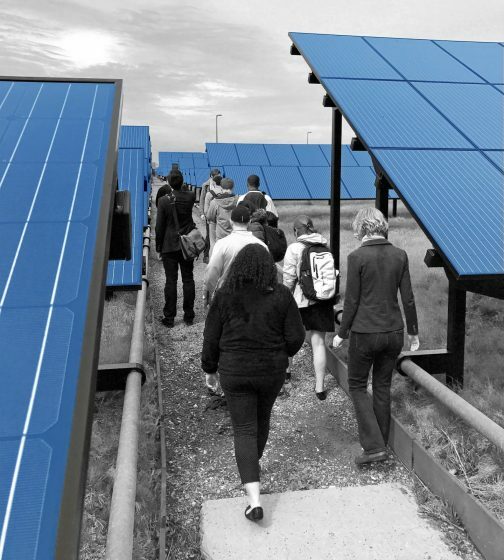 Residential and community uses may conflict with solar infrastructure if sites are unattractive or if vandalism occurs on sites for which there is public access. Although these are valid concerns, we argue that depending on site design, management and community participation in the design of such multifunctional sites, these uses could complement rather than conflict with one another. For instance, integrating solar arrays with low herbaceous vegetation could create habitat diversity and enable more efficient photovoltaic output, as we have witnessed at the University at Buffalo Solar Strand. By providing partial shade habitat for shade-loving plants in an otherwise open sunny landscape, the solar array supports more biodiversity. On hot summer days when heat reduces the energy output of photovoltaics, plants can help to moderate temperatures around solar arrays. Let’s call these synergistic integrated solar-ecosystems brightgreenfields. Integrated solar-community projects such as the Sol Cinema in Kent, UK—a mobile outdoor theatre powered entirely by solar panels, and the Solar Kitchen in Auroville, India provide examples of solar’s potential for creating community spaces. Imagine an outdoor community theater powered by a brightgreenfield, or a solar incubator kitchen sited next to an urban farm. Co-locating such sites could enable entrepreneur chefs to sustainably access fresh produce and energy while developing small business enterprises. Not all integrated designs may work in all places. However, if we are to adapt to a changing climate, the process of adaptation must involve experimentation with regenerative design that “consciously repair[s] a degraded environment and actively improv[es] the biosphere whilst providing for the integration of urban systems that provide for human needs” (Thomson and Newman, 2016). 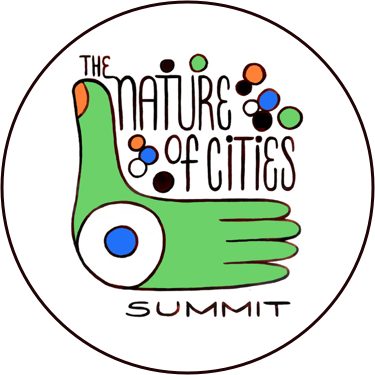 We must take bold, holistic and integrative approaches that promote diverse green, grey and social infrastructure. McPherson was named the University at Buffalo’s first Chief Sustainability Officer. 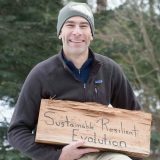 In his role as the CSO, Ryan connects people across the university with information, innovation, and tools to reduce UB’s footprint on the future and enhance quality of life by improving environmental stewardship, increasing economic efficiency and augmenting cultural values and awareness. Dr. Zoé Hamstead is an Assistant Professor at the University at Buffalo School of Architecture & Planning. 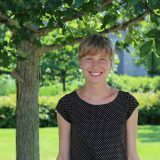 Her work focuses on urban resilience and sustainability planning for addressing heat island and other climate-related threats.